Water Levels Vs Laser Levels | Which One To Use For My Projects? 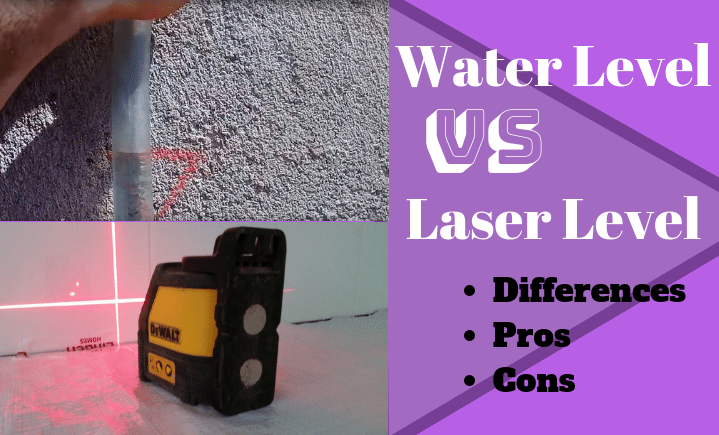 Home » Water Levels Vs Laser Levels | Which One Is Best To Use For My Projects? Is the water level a reliable tool, or should I choose to have a laser level instead? … The Laser Levels Or Water Levels? 1 What Are These Levels Used For Anyway? 4 Conclusion: Water Level Or Laser Level? What Are These Levels Used For Anyway? It’s no secret that levels are an essential tool when it comes to building around the house or on the construction site. Whether you’re doing the layout for a new foundation, framing walls or doing interior finishing, using a level is the best way to make sure that things are as straight and level as possible. In most cases, people will use a laser level for their building needs. However, for centuries, builders have been using basic water levels, which can be almost as accurate and versatile as a modern laser level. In fact, water levels can be used in some situations when a laser level can’t, such as leveling “through” or around obstacles. Furthermore, water levels are a much more affordable alternative to a laser level, can be built by with only a few simple items from your local hardware store and are super easy to use once you understand the concept. On the other hand, laser levels are a newer invention and, in some ways, are a little bit simpler to use than a water level. As their name suggests, they use a laser beam that can be projected across any surface and will always make perfectly straight lines as long as the level itself is set up properly. ☛ Here’s a link to my article about the best green laser levels if you want to find out the latest and best models! Regardless of their differences, both water levels and laser levels have their own advantages and disadvantages. Below, we’ll take a look at both types of levels, as well as when and how to use them. Water levels have been used for hundreds of years and are an ancient take on our modern types of leveling tools. Typically, water levels are made by using some sort of clear plastic tubing and filling it with water, or some other sort of thin, watery liquid. This type of level relies on a very basic principle: gravity, and naturally, the surface of the water will always seek a level plane. Therefore, water levels can easily be used as an alternative to a modern laser level. Also, water levels can be accurate across larger distances. This is because they are not degree dependent and no matter where they are used, the water inside the tubing will always find its own level point. This means that water levels are great for applications where there are obstructions in the way that would block a modern laser level from being effective. You simply need to use a piece of tubing that is long enough to reach around the obstacle, and then you’ll easily be able to transfer marks on the surface you’re working with. To make and use a water level, you simply need to fill a length of flexible tubing with water, leaving about a foot of empty space on either end of the tube. Next, clamp or secure one end of your plastic tubing to your reference point. Just make sure that you’re not pinching the tube. 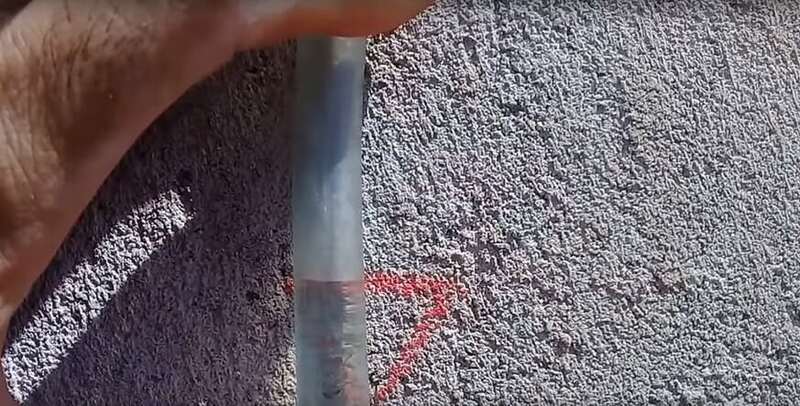 Then, you’ll be able to transfer your initial reference point to the other surface by measuring the distance from the end of the tube to the water line and making sure that you have the same measurement on the other end of the hose. Laser levels are much more modern inventions and emit a laser beam that can be used to project level lines across a surface. There are different types of laser levels. Some will project horizontal and vertical lines, while others are used to project one or more points on a surface. Furthermore, there are also laser levels that can be used for both lines and individual points. Before being used, laser levels need to be leveled out first. 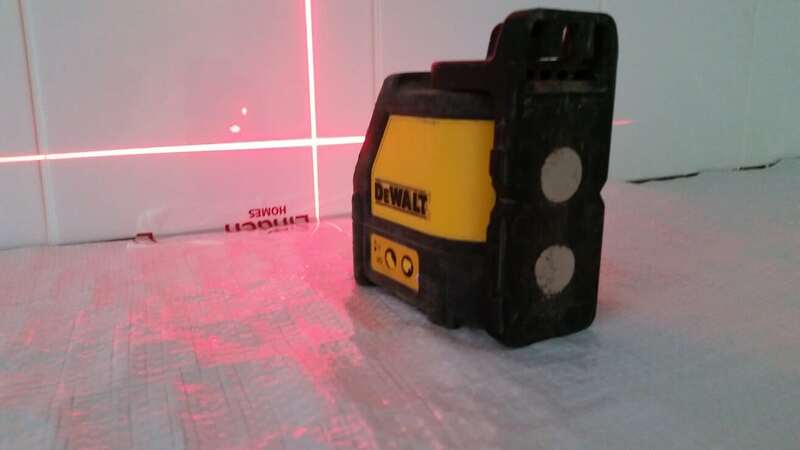 In most cases, laser levels have a built-in leveling function, but there are some laser levels out there that may require being leveled out manually. This means that laser levels are degree dependent and need to be set up on a flat surface in order to be as accurate as possible. or even just leveling the crooked pictures frames on your living room walls. To use a laser level, you’ll first need to find a solid surface and set up your laser level. Once set up, turn the laser level on and let it zero itself out, or do it manually if required. Then, you’ll be able to project a perfectly straight and level line across whatever type of surface you’re working with. With this, you can use to line as a reference point to take measurements and transfer marks wherever needed. Conclusion: Water Level Or Laser Level? In the end, both water levels and laser levels have their own types of uses. Although water levels are an ancient method of leveling things, they are still highly effective, versatile. Great for smaller projects around the house. Especially when it comes to “blind” leveling around corners or obstacles. On the other hand, laser levels are best for professional builders who need a higher degree of precision and versatility. They can be used for many different construction needs and will always be accurate within short distances as long as they are set up properly. Having said that … nowadays, many DIYers (most of them) have a laser tool in the cupboard as well. 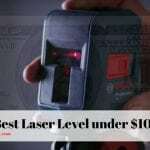 You can find laser levels on Amazon for as high as one or two thousand dollars and for as low as 50-100 bucks and. Then again, you will make your decision to buy a laser level depending on your budget and the reasons you want to own a laser level. By now, you should have a better understanding of both water levels and laser levels. And, with this information, you’ll be able to tackle your next big project and ensure that your finished product will turn out as straight and accurate as possible. Anyway, ninjas, I hope this little “Water VS Laser Level” article helped you to have a better understanding of what are the differences between these two leveling devices. Let me know in the comments below if it helped or maybe which one do you prefer?